Tony is a member of the PIDG Ltd. Credit Committee. Tony has been a lender, investor and developer of infrastructure projects throughout Europe and Africa for over 30 years, and is currently a member of an Investment Committee for a pan-European Infrastructure Fund and a Baltic Infrastructure Fund. In Africa, he is on the board of a publicly quoted electricity utility in Uganda, and Chair of a charity supporting businesses that provide energy access to off-grid communities in the poorer regions of Africa. 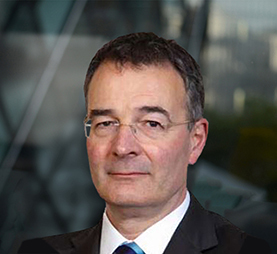 Tony has held a variety of senior roles in infrastructure organisations, including: CEO of the fund manager that managed the Emerging Africa Infrastructure Fund and GuarantCo; at the UK Government’s request, helped set up the world’s first Green Investment Bank; CEO of a power development company; and Director of Power and Energy Utilities at the European Bank for Reconstruction and Development. He has a degree in Banking and Finance from Loughborough University.